On the heels of sending 5,200 American troops to the US-Mexico border and pledging to terminate birthright citizenship via executive fiat, President Trump now plans to issue an executive order revamping the United States asylum process, the Wall Street Journal reported Wednesday evening. 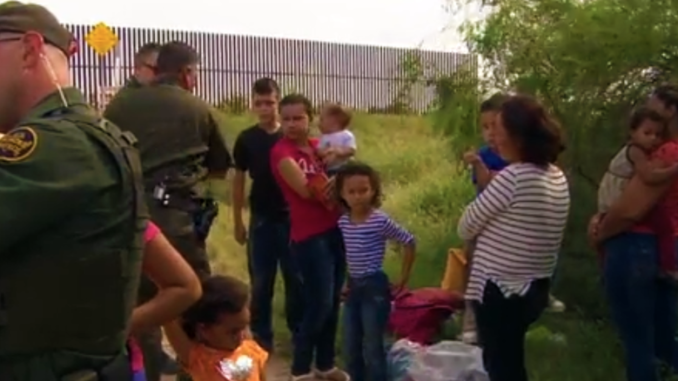 According to the directive, U.S. officials will require asylum seekers to go to a point of entry along the border and make a claim for asylum, which would bar those who cross illegally. Currently, migrants who cross the border into the U.S. have up to a year to request asylum, regardless of how they got here. The argument being made by the administration is that this change will enable safer, more orderly processing and better resource planning, an official said. The officials, who have seen a draft of the directive, said the intention is to implement the directive temporarily, although a time period wasn’t specified. The order could be signed as early as Friday morning, when the President is scheduled to depart to Paris for a military celebration marking the 100th anniversary of the end of World War I and a possible meeting with Russian president Vladimir Putin. President Trump, who has recently considered reviving his family separation policy as a migrant caravan approaches in what he calls an “invasion,” alluded to this directive last week, when he announced that he was “finalizing a plan” to curb asylum requests from immigrants who enter the country illegally. “Under this plan, the illegal aliens will no longer get a free pass into the country by lodging meritless claims in seeking asylum,” the President said at the time. This interpretation of the statute was recently upheld in a 5-4 Supreme Court decision in June, 2018. The two caravans headed northwards are comprised of anywhere between 4,500 and 8,000 people, and many of them will be content to stay in Mexico or other countries south of the border. For perspective, according to the American Immigration Council, 20,455 individuals were granted asylum in the United States in Fiscal Year 2016. For more stats on asylum-seekers and an in-depth look at the current process for requesting asylum within the United States, check out this fact sheet from the AIC’s website.